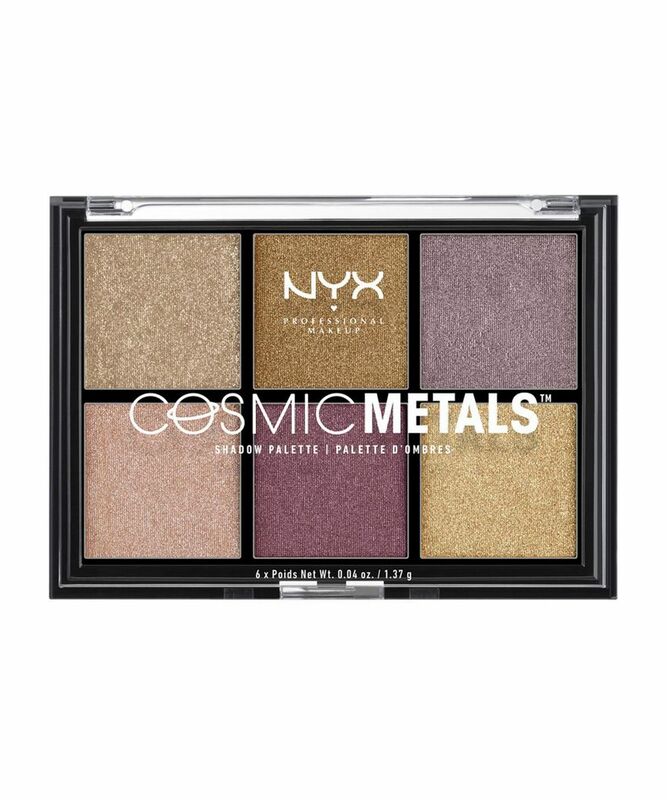 For eye looks that are truly out-of-this-world, this eyeshadow palette features six versatile and edgy neutrals in tones of gold, plum and mauve. Adorning lids with rich metallic colour payoff, the ultra-covetable, shimmering shades are buttery soft, blending seamlessly to give a long-wearing, crease-resistant finish. 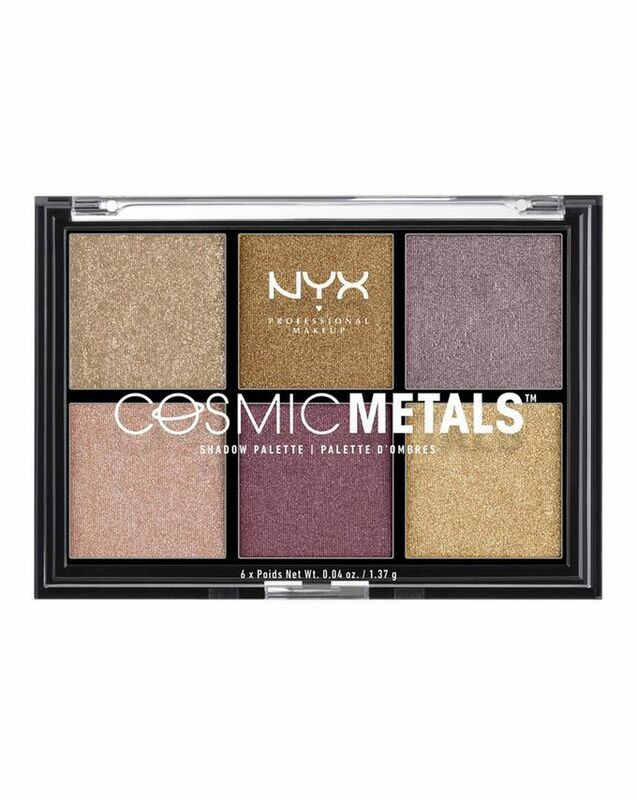 Cosmic Metals Shadow Palette is NYX Professional Makeup’s ingenious edit of metallic eye enhancers, ready and waiting to adorn any lid with a layer of otherworldly lustre. Starring six super-versatile, edgy neutrals, the tones of gold, plum and mauve are sure to flatter any face and create eye looks that will make onlooking gazes linger. The swathe of shimmering shades cloak lids with rich metallic colour payoff and grant a finish that is both crease-resistant and long-wearing. Apply shadow with a damp brush to intensify the colour payoff. Apply as a sheer wash or build coverage for added drama. This palette is really good for the price. The only shade that’s a bit scratchy is the top left one, the rest are pretty good and for this price, you cannot go wrong. I own Anastasia, Viseart, UD, everything pricey and good and these aren’t like Anastasia but they totally do the job and they are pretty and pigmented and smooth. Totally recommend. Very beautiful and pigmented for the price! definitely worth buying. I love it more than some of my high-end palettes. Can't say enough about NYX. I love this little palette, the pans are big and so pigmented! A must have. Fabulous palette at such a low price. The shadows blend beautifully, are highly pigmented and smooth. No negatives to report here.